With amazing celebrities like Kim Kardashian raving about the amazing effects waist training has had on them all over the social media, it has tremendously grown in popularity. The trouble is, celebrities make it look surprisingly easy. I mean you have been at it, and it just hasn’t been working out for you. Now before you throw in the towel, I should let you in on a little secret. While the waist trainers can do great work on their own, you will achieve even better and lasting results when you incorporate some exercises. As a matter of fact, celebrities had gone on record gushing over how great and fast the results were when they combined waist trainers with some specific exercises. While the exercises vary from one celebrity to the other depending on their tastes and what they deemed to be best and easier for them to follow through with, there are some that will undoubtedly deliver no matter your preference. Now, ladies, you should think of squats as your best friend. Squats despite their constant use, probably do not get the praise and publicity that they deserve. I mean with the results that they will provide you with; people will think you are on some pills or something. Squats work to strengthen the core as well as improve your booty. And which lady does not want around and firm booty? One that men cannot help but ogle at? And with a well-rounded and firm booty, your waist will look and seem even tinier giving you the hourglass look that you are so craving and dying to get. But if you are already doing squats, try advancing them a little bit for better results. Throw in some weights. You could make some weights on your own or get some cheap ones at your nearby store. Your core will have to work harder, but the results will be twice as good (actually better). This is yet another exercise to strengthen your core. Now you might dismiss it seeing that it is a very common exercise with men but, with men getting rock solid abs right, left and center, they do get the job done. When you start on planks and probably even make them your regular workout routine, you should invest in n exercising mat – the kind that you normally would use in yoga. The mat will help to protect your elbows from getting scraped by the rough ground. With lunges, you should probably know that there are two types. Walking and stationary lunges. They have different results given that they apply the pressure on varying areas on the body. Without getting into the teeny tiny details, the walking plunges will earn you best results with your waist. With your waist trainer on, put one foot in front of the other in a walking motion but with every step, make a downward movement such that the knee of the front foot goes down close to the ground. Do several laps in your backyard or living room if it is large enough. But other than working your waist area, walking lunges will help you improve on your balance, boost your functionality (having a better and healthier posture), boost the flexibility in your hips and last but not least provide your spine with some much-needed rest. Again, if you have been doing walking lunges for a while, you might not get any results getting back to them as a beginner. Try adding some weights to the routine for better results. What makes waist training exercises the bomb is the fact that you can combine strength training with cardio exercises. This will help to take your body to a higher level. Doing kettlebell swings twice or thrice in a week will give you the results that you are after. But the thing with kettlebells and what makes them the preferred exercise waist trainer by many celebrities is the fact that it helps to do daily activities easier. How so? Well, in addition to the core muscles, it will work all other muscles that you use on an everyday basis to perform different activities such as carrying your bag, picking up a toddler or even hoisting a heavy drum of milk. Insane right? How does jumping rope, an insanely fun activity and less intense work the waist? How is it a small waist workout? Sure it may seem harmless and added to the fact that it is fun you may not feel the pinch. But it does increase your metabolic rate and cause you to tighten your core muscles simultaneously. As you try and jump rope for the sake of waist training, try adding some complex moves to involve your muscles all the more. For instance, you could try twisting your waist to the right and left as you make your leaps into the air. As you get comfortable with your routine, change it up and take it a notch higher. 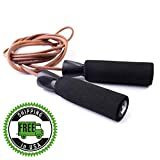 To get you started, jump rope as fast as you possibly can for about 40 seconds and take 15 seconds break in between the five reps you will do. After this workout, you should have burnt a lot of calories and start yielding results on your waist. Jumping jacks may be effective exercises but can be a little bit too boring after some time. To spice up the waist training workout, instead of jumping jacks, try out ski twists. The basics are the same as the jack jumps only that this time instead of throwing your arms in the air; you have your feet together and twist your upper body at your hips. Twist to one side with every jump (to the right and back to the center and then to the left and back to the center). These movements will work your core and facilitate the burning of calories. It is perfect if you are the kind who loves cardio exercises. Like it or not, there are no waist training workouts that can be complete with the exclusion of hip thrusts (of any version you prefer). Hips thrusts, combined with glute bridge motions work the lower back muscles and the glutes. You will at the very end have a toned behind as a bonus to a slim waist. You will have your curves killing all men you come into contact and women will envy you. With bicycle crunches, you get two kinds of workouts. First, is a cardio hit, a massive one at that and an ab burn. When you alter the knee raise and twist the torso, you will get your heart pumping at a faster rate. It will fire up the abs in the process of working the core earning you your perfect waist size – the hourglass shape. If you own a cat, you probably know of the position it takes up when it is looking to vomit up something it ate that did not sit well with it. If not, you probably know of the intense pressure one gets when they are sick and throwing up. Were it not for the fact that it is unhealthy and highly uncomfortable, the vomiting movements can be very effective. Great thing is that you do not have to get sick to get the much-deserved exercise. All you have to do is take up the cat position, be on all fours and exhale (drain all air from your lungs). This will forcefully contract the abs. in this position, raise your belly towards your spine and hold the position for at least ten seconds. Do several reps for best results. You should, however, ensure that you do not ‘suffocate’ as you hold your breath. This exercise will get your lateral core muscles working overtime especially the external and internal obliques. The exercise is however different from the heavy weight lifting which can cause your oblique muscles to overdevelop yielding undesired looks and shape. The feminine curvy shape will be your portion of this exercise. With the above waist training exercises, you should be on the right path to success. However, as you prepare to embark on the exercises, it is important that you pay attention to your body. If you start hurting, try turning it down a notch or trying a different exercise altogether until you are ready for that particular exercise. Note that getting an hour glass shape is an adjustment that the body has to make and as such it is very important to take everything slow. You can should also read our guide about Best Waist Trimmers.